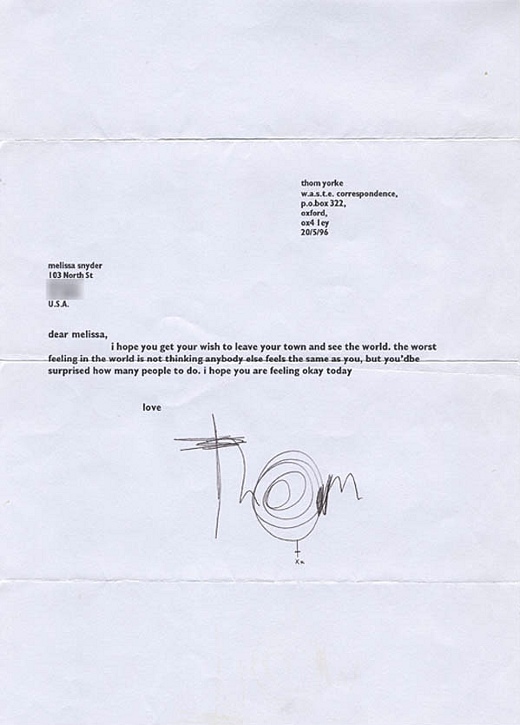 Below are two letters, both sent by Thom Yorke to fans of Radiohead — the first handwritten in 1994, pre-Bends, and the second typewritten in 1996. 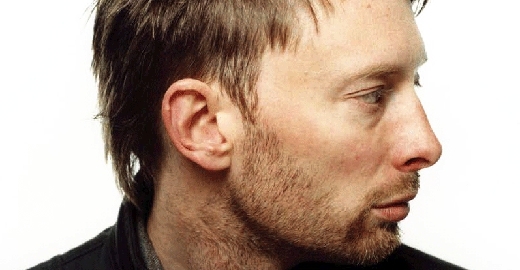 At this point in their career, Radiohead were still on the lower rungs of the ladder in terms of success, as evidenced by the earlier letter — written in the studio as they recorded Nice Dream — in which Thom jokingly imagines their plectrums being displayed in "Rock Cafés around the world." The second letter is a brief but sweet note of advice to a girl named Melissa. Thanks for writing. Wow! Framing T-shirts. 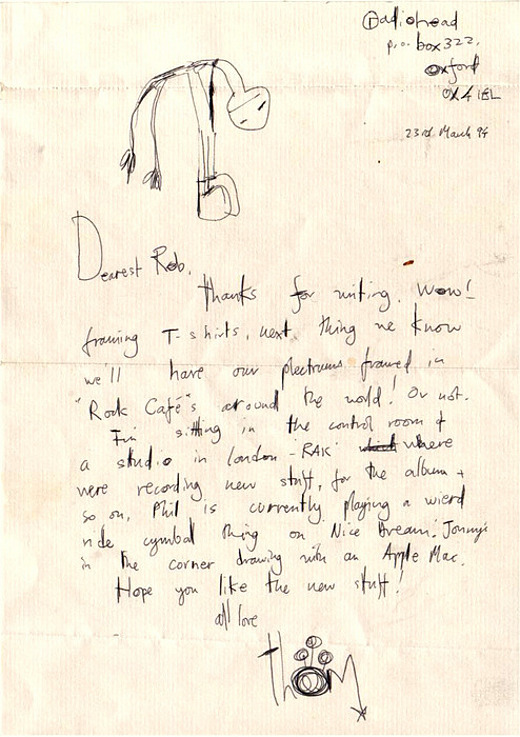 Next thing we know we'll have our plectrums framed in "Rock Café"s around the world! Or not. I'm sitting in the control room of a studio in London. - 'RAK' where we're recording new stuff, for the album & so on. Phil is currently playing a wierd ride cymbal thing on Nice Dream. Jonny's in the corner drawing with an Apple Mac.